The cam horns and smooth V-shape guide line for easy entry. This allows precise sail control without having to readjust the cleated line. The Teflon® surface of the aluminum Cam-Matic® improves the cleat’s fast line engagement. 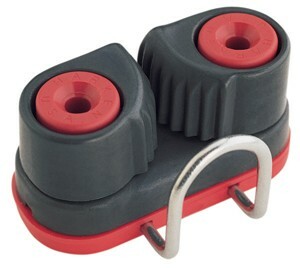 The Cam-Matic® is the only cleat that will engage under maximum line tension. Aluminum Cam-Matics® are Hardkote-anodized for high-load, high-wear, continuous adjustment applications. Available in Micro, standard and Offshore sizes. 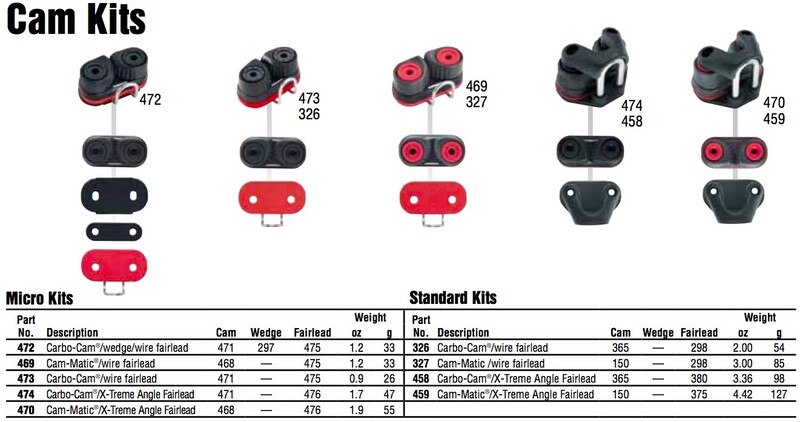 Lightweight fiber-reinforced Carbo-Cams® for racing where weight is critical, or where adjustments are less frequent. Available in Micro and standard sizes. Ball bearings and Carbo-Cams® UV-stabilized with carbon-black additive for maximum protection.